A new tote bag ideal for an everyday stroll, heading to the beach, or a weekend away. 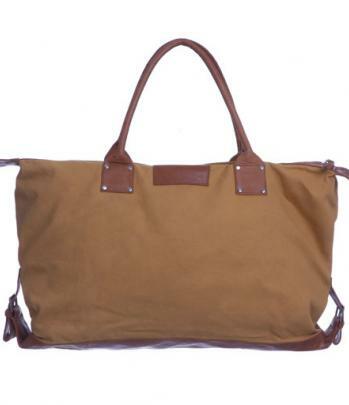 Made from 100% thick cotton canvas (outside) and soft tan leather with one large zipped interior pocket and two smaller interior pouches. Lined in smart navy cotton fabric. PRODUCT / SIZE OUT OF STOCK?